The start of the new year makes you look at your life and try to make a few changes. Such new year’s resolutions are notoriously hard to keep, so let these apps motivate you and keep you on track. Some of these apps will help you figure out what your goals and resolutions should be, guiding you to find what matters and where you’re faltering. Others will ensure you are focussed on following through with the steps you want to take. If you haven’t figured out what resolutions to set, or if you want to do a self-assessment, then go to This Next Year. Through a series of questions, you will find goals for each aspect of your life. The website asks you how you feel about your career, personal interests, relationships, and health, as well as dreams and moonshot goals. In each, you will have to rate how you see yourself right now and write actionable steps to improve or maintain things. For some guidance, have a look at the common habits of successful people. All of this is turned into a letter, which will be sent to you at the end of the year. That way, you can compare what you wanted to do with what you actually did. More importantly, the process of just writing this out clarifies your targets. This Next Year is available in the letter-writing format till January 14. After that, the website will still be active to figure out goals for yourself, but you won’t get the auto-sent letter at the end of the year. Omnicalculator’s Resolutions Calculator (Web): Is It Realistic? Once you know what your resolution is going to be, you still need to figure out whether it’s realistic or not. If you have never hit the gym and think you’re going to look like Arnold Schwarzenegger in a year, you have another thing coming. 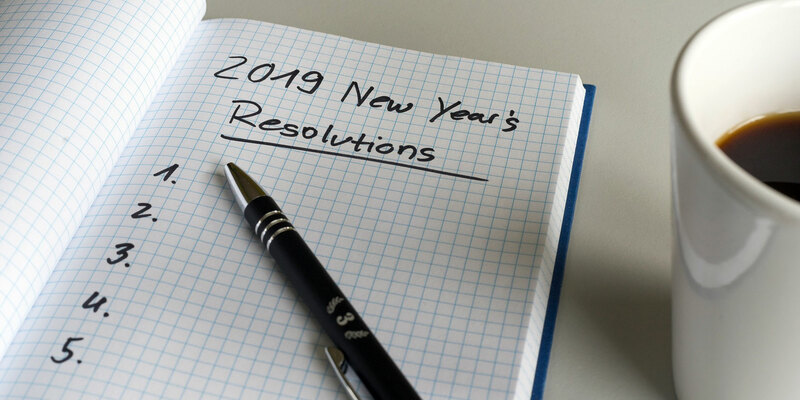 Omnicalculator’s New Year’s Resolutions Calculator helps you figure out how long it will take to achieve your goal, realistically. It has a series of different resolutions, like exercise more, eat healthier, learn a new skill, and so on. Each of these has further sub-goals, like “swimming” under “learn a new skill”. Next, choose the desired level of achievement you want at the end of the year. Omnicalculator then asks for the number of hours a week you will dedicate to your task. And boom, it will calculate whether you will achieve your goal or not. If it’s a no, you either need to choose a new goal, a different level, or increase the number of hours you’ll spend on it. No matter what, a little fiddling around will reveal exactly what it takes to achieve your resolution. Make Yourself Great Again (Web): Are You Wasting Time? When you are assessing your own self, you tend to be a little lenient. If you crunch everything down into actual numbers, you might have a fairer and more objective view of yourself. How do you do that? Try it with Make Yourself Great Again. This app asks you where you are spending time. The activities are divided into distractions and investments. Distractions include things like social media, watching TV, going out, commuting, and so on. Investments include things like working out, family/friend time, learning new skills, and so on. You can also add your own other distractions and investments to the equation. For each aspect, add how many hours a week you spend doing it. A rough estimate is fine, and the distractions have an average human’s time for each activity. Once you’re done, you’ll get an instant picture of how much time you spend on distractions as compared to investments. The multiplier can be a little shocking at times, but it’ll help you figure out where you need to make a change. Every productivity expert and scientific study has one common piece of advice about meeting your goals, which is to track every step of the journey. A nifty app for that is Habitify, which was available for Apple users for some time, but is now also on Android. Habitify simplifies the process of forming a new habit by dividing up your steps into different parts of the day, different days of the week, and so on. For example, you might want to form a habit of getting up early every day, going to the gym three times a week, and reading a book once a week. It’s easy to key all that into Habitify, and then get reminders at the appropriate time. It includes productivity favorites like habit streaks, statistics to see how well you are doing, and even a selection of “small wins” to keep you motivated to achieve more. It’s a wonderful app that gets most things right about what you need to form new habits. If you don’t want a habit-tracking app with all its maintenance and constant notifications, but still want some tool to keep you on track, try Intent. It’s an email-based service that gives you a daily motivational or inspirational boost. Here’s how it works. When you sign up for Intent, you are asked to write one thing you want to focus on for the new year. Intent will then send you a daily email with some article that talks about your area of interest, and how to improve yourself on it. Intent also issues a weekly challenge for your overall goal. Meet those goals and earn Karma Coins, and more importantly, keep your winning streak intact. It’s a simple and easy way to track your resolutions and meet them, without installing anything. With these apps, you will find different methods to set and meet your resolutions. They are best to start a new year with, but that doesn’t mean you can’t use them in the rest of the year. Whenever you want to make a change for the better, use any of these for a boost. Apart from Habitify, there are plenty of other habit-tracking and motivational apps that push you to achieve the targets you have set. Try these five new habit apps to actually reach your goals.